In the latest episode of The Downshift, MotorTrend follows the guys at GSR Autosport and Formula Drift champion Mike Essa as they tune a BMW 335i with loads of go-fast parts for a big reveal and give-away at the 2013 SEMA show next week. Concentrating mostly on the suspension and brakes, GSR Autosport added Bilstein’s new IRC suspension, which uses the latest technology and can be controlled via a smartphone. The suspension continually adapts to changing conditions, using a g-load sensor in an onboard computer, along with the g-load sensor within the smartphone. Other suspension parts were swapped out with upgraded BMW M components for greater handling. 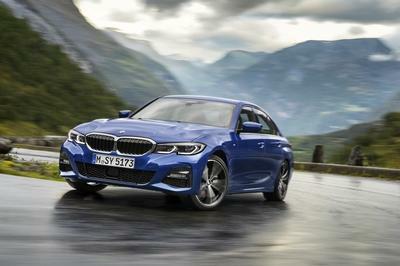 The BMW’s engine was treated to a few additional horsepower, thanks to a cold-air intake and larger intercooler, while the stock 335i brakes were tossed in favor of huge Brembo calibers and cross-drilled rotors. “This isn’t just a track day car,” says Michael Essa. “This is a car you can go to the track with and drive everyday.” With the adjustable suspension, the driver can put it into sport, track, street, or comfort modes depending on the situation. The lucky winner of the raffle, David Smit, will be driving home the GSR Autosport/Bilstein BMW 335i after the companies show it off at this year’s SEMA auto show.